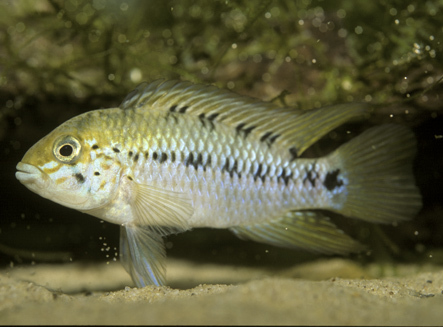 In the Fishroom 2 You will exclusively find those Apistogramma speceies that have not been scientiffically described. . If You wish to look for allready described species, as well as for members of other dwarf cichlid genera, please move to Fishroom 1 ! We hope that You enjoyed our picture-gallery, and that we will meet You again, as this gallery will be updated continuously with new and / or missing species of Neotropical Dwarf Cichlids or extraordinary color morphs of species allready visible here. If You have access to new morphs or species of Apistogramma we want to ask and encourage You to get in contact with Dr. Uwe Römer.